Many of us are sure working our buns off, but might even forget that nasty external aggressors creep eating away at our delicate skin. It’s time to retrieve the skin energy if you do not want to look like a ghost the next morning. Daily intake of water and healthy diet provides great hydration and nourishment to our complexion and body as a whole. Besides, good skincare products are can’t-live-without to quickly revive the lipid barrier function for an intact, supple looking skin. After a long day at work, I’m dying to lie down on bed and pamper myself with a relaxing face mask. 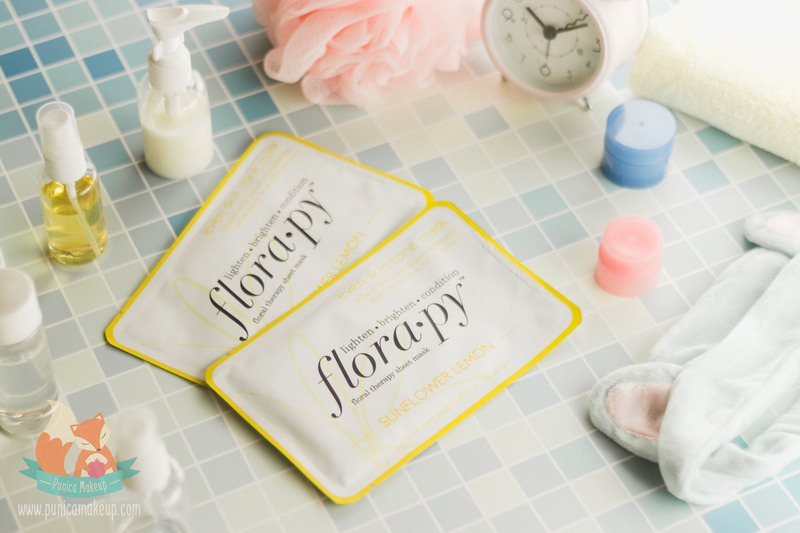 As a special treatment to vigorously ward off fatigue of the skin, it brings my skin back to life with such plush feelings. There are different types of face masks giving numerous results, they could be clay, mud, cream or sheet, depending on your skin concerns. some of the masks I’m using recently are sent from Florapy Beauty. They are primarily infused with plant-derived ingredients. 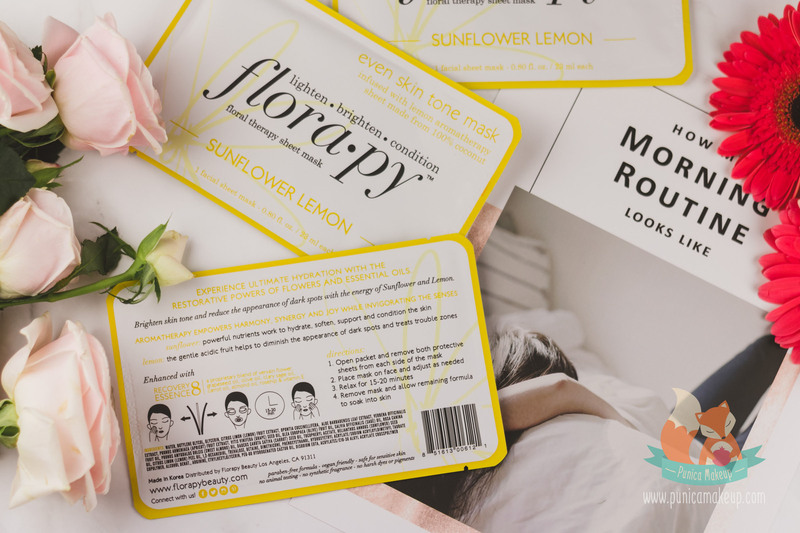 Let’s leave the secret unfolded in my review of Florapy Beauty Even Skin Tone Sheet Mask (Sunflower Lemon). Two primary ingredients are the derivatives of sunflower and lemon, which tend to brighten skin tone and neutralize dark spots. Formulated with Helianthus Annuus (Sunflower) Seed Oil, a powderhouse of vitamin E, Beta-Carotene (vitamin A) and fatty (linoleic and oleic) acids. It delivers emollient, anti-aging and healing effects to recover skin natural moisture, reverse sun damage and smooth out fine lines. Sunflower seed oil has been renowned for its huge replenishment to skin protective layer against the perils of environment. The formula contains Citrus Limon (Lemon) Fruit Extract, loaded with age-defying property (vitamin C) to refresh tired skin. Its astringent, antimicrobial and toning activities exfoliate the buildup of dull, dead skin cells, impart a vibrant complexion and reduce the appearance of dark spots. With Citrus Limon (Lemon) Peel Oil, two of them can create an uplifting citrus aroma and work as natural preservatives to prevent fungus and bacteria from spoiling the product. Otherwise, lemon fruit extract and peel oil possibly cause photosensitivity, which makes skin more reactive to sunlight and gets burned. There is also a line-up of other fruit and plant extracts, such as Opuntia Coccinellifera, Aloe Barbadensis Leaf, Lippia Citriodora (lemon verbena) Flower and Prunus Armeniaca (Apricot) Fruit. These boast soothing, moisturizing and antibacterial agents to soften skin texture and calm down inflammation or irritation, especially after exposure to harsh external stressors. The lemon verbena flower extract also gives a nice scent to lift your spirit. Otherwise, because of its high level of citral, it’s possibly a skin sensitizer so you need to carefully avoid sunlight, while using. Packed with essential oils from a variety of natural resources, Vitis Vinifera (Grape) Seed, Olea Europaea (Olive) Fruit, Salvia Officinalis (Sage), Rosa Canina Fruit, Prunus Amygdalus Dulcis (Sweet Almond) and Daucus Carota Sativa (Carrot) Seed. 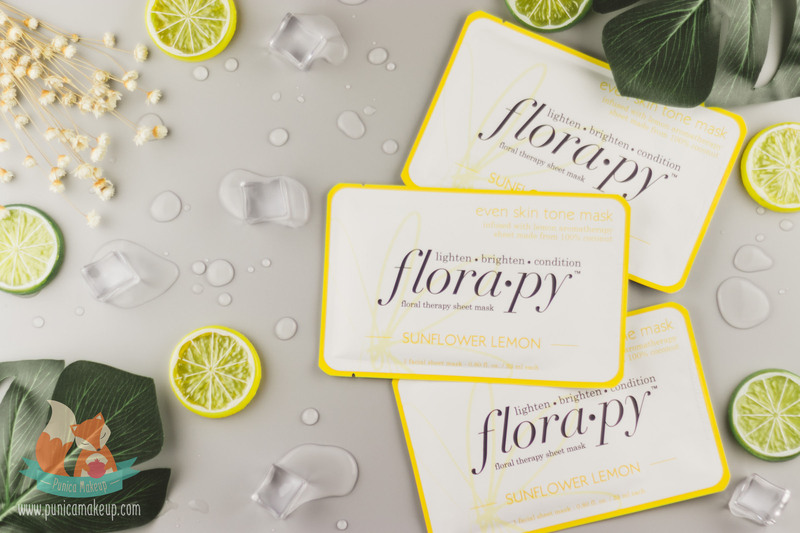 All of these botanical extracts are powerhouses of antioxidants, moisturizing and soothing agents and fatty acids to ultimately rejuvenate and replenish skin. Also, lock in moisture and mitigate sun damage, which contributes to slows down the premature aging. In addition to those plant-derived ingredients, the formula consists of many chemicals. Butylene Glycol works as a solvent, conditioning agent and viscosity decreasing agent. It makes the product more evenly spreadable with thinner consistency and helps other ingredients dissolve in water. Furthermore, PEG-60 Hydrogenated Castor Oil, as a surfactant, mixes oil and debris with water in order to leave skin free from greasiness. Glycerin, Betaine, 1,2-Hexanediol and Trehalose are plant-derived humectants or moisture-binding agents, considered being less hazardous to skin. These tend to foil the quick evaporation of water from skin, but also attract water to the outermost skin layer for its smoothness and plumpness. 1,2-Hexanediol can be also used as a solvent and preservative. Trehalose is a plant sugar to give a flavoring effect. Plus, Arginine, an amino acid, works as antioxidant to expedite skin self-restorability by motivating cellular turnover. To achieve a silky feeling on the skin, formulated with Dimethicone and Hydroxyethyl Acrylate/Sodium Acryloyldimethyl Taurate Copolymer as softeners. The two may also function as thickener, texture enhancer, emulsifier or stabilizer. However, Dimethicone with silicone based consistency can provoke congestion and aggravate acne-prone skin. Alcohol Denat. helps give lightweight, airy feelings on the skin when topically applying the product. It can be a solvent and preservative because of its antimicrobial activities. Otherwise, it’s more likely to cause skin irritation and dryness. Disodium EDTA is a chelator to sequester free metal ions and minerals in water and stop them from breeding bacteria and deteriorating the product quality. Finally, some preservatives are Phenoxyethanol and Ethylhexylglycerin. Gotta say I’m so in love with the mask now. Made of hydrogel material which turns out to be exceptionally slick on the skin surface. This may be what makes it more luxurious than any traditional cotton or microfiber based masks. 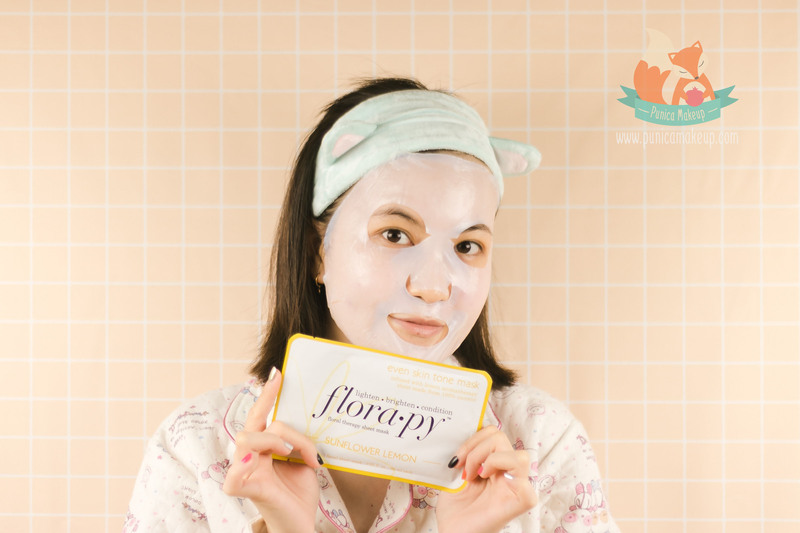 When ripping open the pack, one side of the mask is sealed with a white plastic sheet, peel it off and nestle that side of the mask on your skin. Before using the product, I apply toner with a cotton pad by gently dabbing it on skin. Toner is my must-do. It’s like shifting the cleansing step to another level which penetrates drawing out all of impurities deep in the pores as well as balancing skin’s pH and hydration. This helps perfectly kick off my skincare ritual. Get back to the main point, the sheet mask is super refreshing and comforting when applied all over my face. To be honest, the product initially gives both cooling and itchy, tingling sensations. I was afraid that my very sensitive skin would react badly to the mask. Moreover, I was having premenstrual breakouts while using it. So nerve-racking, I once got flared up due to a face mask after one night, so I better be careful. But thankfully, the unpleasant hunch soon disappears after a minute. It then eases up on the anxiety of my skin. Fascinated, my entire face genuinely soaks up every part of the mask with a noticeable boost of hydration, I feel like it’s quenching my skin thirst. After 15 to 20 minutes, remove the mask and massage skin in circular motion with two clean hands. My skin is obviously smoother and bouncier to the touch. Additionally, redness around my cheeks even gets better and it restores innate radiance of the skin. The mask does not exacerbate my blemishes and cause congestion either. Of course, it could not make my acnes immediately vanish. However, they became less swelling overnight. It took two days to flatten these blistering zits and lumps. Because the feeling about it is too good, I prep the second pack in the fridge to add up its cooling effect. I’m so digging it. I even suggest my mom to try and she totally loves the mask. The biggest surprise to me is that it even shrinks large pores on my cheeks. I usually wake up with enlarged pores with oily traces sitting on top. When I first applied the mask at night and the next morning, looking in the mirror, I didn’t even see any tiny openings. So phenomenal! I’m literally dying for this. Speaking of the essence that the product is infused with, its fluid, runny consistency is fast absorbing and free from greasy residues. My skin finds genuinely clean, fresh and lightweight. The hydrogel base helps keep the essence from dripping down to my neck. However, the mask tends to slip down if I walk around. Well, I’m not 100% sure if the mask gives the same result to all of skin types, it depends I guess. The formula contains some ingredients, like citrus extracts and oils that possibly sensitize skin toward sunlight in the long-term. It also includes Alcohol Denat classified as a skin irritant. Plus, in fact, the brand just sent me three packs of the face mask so I may not guarantee what will happen if we use it for longer. But, I’m very willing to share this to dollies who have normal, combination, dry, oily, acne-prone and sensitive skins. I did try the product whilst my skin was dealing with a very bad condition and it really brought a sense of calm to my skin and my soul. So bad, I have not gotten the chance to confirm if the product can reduce the appearance of dark spots or acne scars on its promise. With three packs during one week, my acne scars and discoloration did not change a bit. Maybe I need two or three more and then, a miracle is gonna take place. Who knows? Housed in a plastic tearing-away pack with a yellow border. 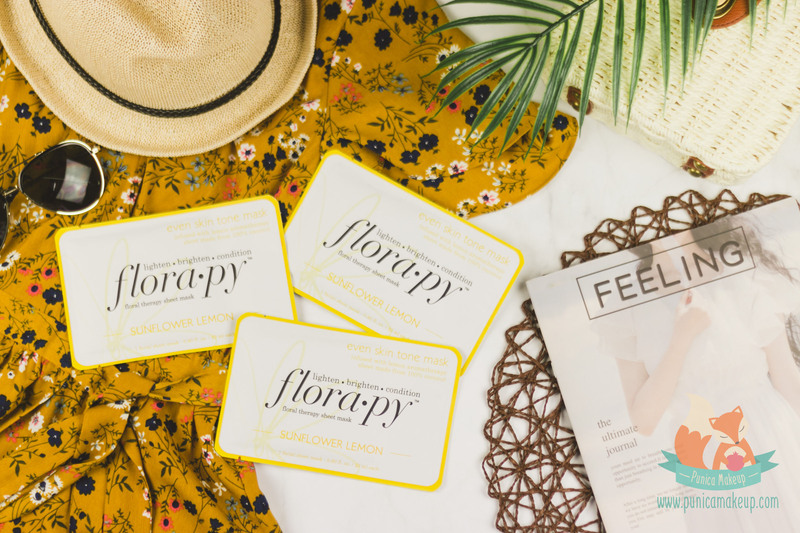 Actually, Floral Therapy Beauty has many different types of face masks formulated with a variety of natural ingredients. Each of them has its own indicating color border on the packaging. It’s sealed and preserved strongly against the invasion of debris and bacteria. The pack is quite big but not heavy at all, I can bring the masks everywhere in my suitcase. You can find the product’s ingredients and description on another side of the pack. The masks are so adorable, its price is not bad. I want to repurchase them and try others more. I’m really looking forward to taking it into my skincare regimen. This deserves 8 out of 10. 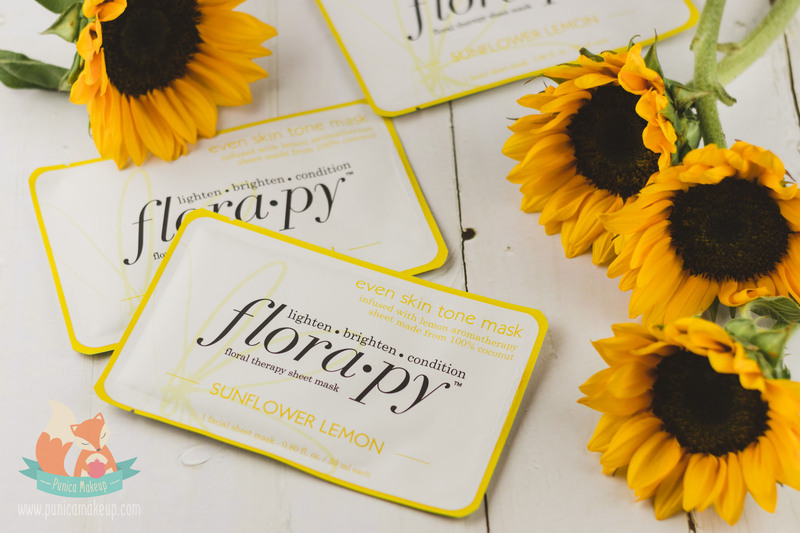 Thank you so much for spending time on my review of Floral Therapy Sheet Mask Sunflower Lemon. I hope it can do something for your concern. Please be open with me, I’d love hearing you out anytime. Stay beautiful, dollies!